Whether Christi Craddick violated the law last year in pushing the Texas Railroad Commission's executive director out of her post is "not a question we can resolve," Attorney General Ken Paxton wrote in an opinion released Thursday. One railroad commissioner doesn’t have the power to fire the executive director of the agency — but it’s not clear whether that’s what happened last fall when former director Kimberly Corley was pushed out of her post, according to an opinion released Thursday by Texas Attorney General Ken Paxton. Christi Craddick, the chair of the three-member board of the Railroad Commission of Texas, was accused by another commissioner in September of trying to unilaterally oust Corley by offering her an ultimatum in a private meeting: Quit or be fired. Craddick has acknowledged that she had a private conversation with Corley, but asserted that their discussion “was compliant with all applicable law.” The elected board regulates the state's oil and gas industry. Ryan Sitton, the railroad commissioner who leveled those accusations at Craddick in a heated exchange at a public meeting, asked Paxton months ago to weigh in on whether Craddick had broken the law either by exceeding her authority or by violating the state Open Meetings Act in holding that conversation privately. Responding this week to a similar inquiry from state Rep. Rafael Anchia, D-Dallas, Paxton asserted that a single commissioner does not have the power to unilaterally fire an executive director without “deliberation and a decision from the Commission as a whole at a properly-called meeting.” But it’s not clear whether Craddick truly fired Corley, because “whether the choice of resigning or being fired constitutes a termination in any given circumstance involves fact issues that cannot be resolved through the opinion process,” Paxton wrote. “Whether unilateral termination or unilateral appointment of an executive director in fact occurred at the Commission is not a question we can resolve, and nothing in this opinion should be construed to suggest a finding on this issue,” Paxton said. 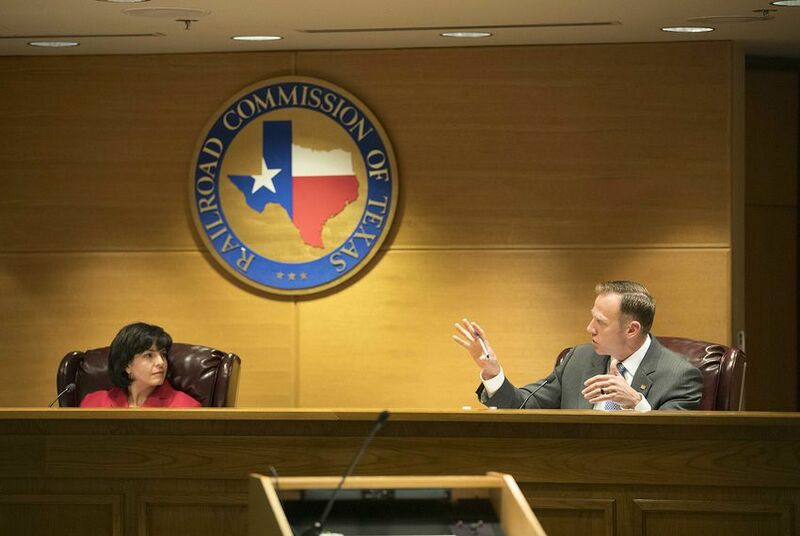 Hey, Texplainer: Did the Railroad Commission chairwoman fire its executive director?